Yep, It's finally here! A new Tokyo Xtreme Racer! ...But to my great sadness, it is a mobile freemium. So far we haven't seen any actual ingame shots. Only promo photos. No returning vehicles are shown as of now, and the graphics of the promos remind me a lot of ITC. As of now the only thing you can do is pre-order the game. From what I hear it's Japan-only as well. Genki looks like it's becoming the next Konami or Namco, they will make freemium mobile crap. Shutokou Battle XTREME will be without-a-doubt a flop like Ridge Racer Draw & Drift. Also, I pre-registered it, eventhough all the text are in Japanese. You should've inputted the main title as Shutokou Battle as with the previous releases. jus1029 wrote You should've inputted the main title as Shutokou Battle as with the previous releases. When adding the game, it asks for the ORIGINAL title before the English title. As of now the game is apparently going to be Japan-only, so the original title would be the Japanese text. From what I can gather they're doing a No Limits here. Releasing in one country and spreading out from there. The title needs to be uniform, so that people searching for Shutokou Battle get a complete listing of results. If you INSIST and it, then put the Japanese back in as an alternate name at least! 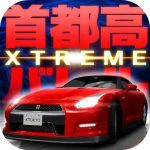 Tokyo Xtreme Racer 2017 for Mobile. Is "Xtreme" meant to be an homage to Tokyo Xtreme Racer? 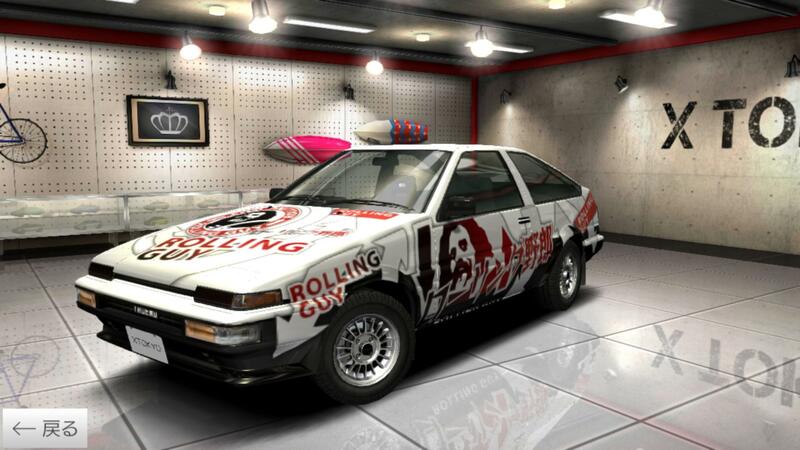 carcrazedalex586 wrote Is "Xtreme" meant to be an homage to Tokyo Xtreme Racer? When adding the game, it asks for the ORIGINAL title before the English title. Same goes to the first Shutokou Battle on the Dreamcast, but it wasn't titled in Kanji here. How should the pre-order cars be listed? DLC? Genki says they will be distinct from the ordinary versions in the game. GroupB wrote How should the pre-order cars be listed? DLC? Genki says they will be distinct from the ordinary versions in the game. I think preorder exclusives are listed as DLC. Alright, I changed them, although technically they haven't hit the targets to award the 86 or the R35 yet. There was nothing here. I can't see pending submissions. If you keep jumping to conclusions like that, it reflects poorly on you. What a poor excuse. I'm a regular user and I can see the pending page. I think he means he can't see them unless he searches for the exact ID of the page. No, he can check the whole pending entries list (if he wants to). I can't see brand new cars you submitted, only changes to existing ones. If you persist in being a victim, I can have a word with Rinspeed. In that case IGCD works very differently from WebCarStory, there is no pending entries list there. I can't see brand new cars you submitted, only changes to existing ones. Poor excuse N°2. Everyone can see them. I'm not sure what that page is supposed to be? There are cars on there that were submitted years ago, and there is nothing for me to approve. I don't think you should expect everyone to be looking at a list that is not very easily accessible before adding cars. I don't doubt that you submitted these entries before GroupB, but you're being way too hostile. I don't think he on purpose stole your points. Yes, dial it back a bit. I mean, I could have easily just claimed this game and told people not to bother submitting if that was my intent. We have one person who handles the Forza games, for example. Does anyone by any chance know what the Japanese writing after the numbers on the campaign tab on their website mean? Bumpercars45 wrote Does anyone by any chance know what the Japanese writing after the numbers on the campaign tab on their website mean? Those are the number of people needed to receive each bonus. It starts at 10,000 (the Suzuki) and goes up to 200,000 (the GT-R). They are currently at 58k, so the next bonus would be the Toyota 86 if they hit 100k. Yes, it's 200k. And yes, a small fraction of people here need to take an IGCD break and go experience the real world for a while. Seems a tad ambitious for Genki's first real TXR game in what? 10 years? Burn Rubber wrote Seems a tad ambitious for Genki's first real TXR game in what? 10 years? That's why the reward is an R35. And lost in all this brouhaha is the fact that in a few weeks time, all the pictures for this game will be replaced with ingame shots anyway. GroupB wrote And yes, a small fraction of people here need to take an IGCD break and go experience the real world for a while. You'd think more people would be willing to take a break, but nope! Speaking of, is there any set person to take the shots or...? I reserved the game the day it was announced, so I can, and would be happy to, get them. Knock yourself out. Unfortunately, I think it may end up being a small list though. Automtive Gaming, calm down now. Don't talk to others members like that. GroupB wrote I mean, I could have easily just claimed this game and told people not to bother submitting if that was my intent. Time to brush up on your English? why you felt you had to make a "review" of what happened? who are you to mention my name, to describe what you read like you are the official reviewer of IGCD facts, and to even talk about me, indirectly? This post has so many mistakes. First, if you want to mention someone, quote them. Second, he's not trolling. Third, you sound like a troll right now with your total pleb-speak. It's odd to see IGCD drama I didn't start. At this point it's clear that AG is just being salty, so really there's no point in this flaming. Burn Rubber wrote It's odd to see IGCD drama I didn't start. All I want is actual control of the car, not like Drift Spirits where all you do is tap. You just made yourself looks like a total dumb, point me what are those "Many" mistakes? aside from using "^" instead of quoting someone, you act like AM didn't act salty in the first place and such, nice try kiddo, think before you type, aren't you that desperate to put me at fault? i won't waste my time with this, i had better things to do, and i already forget about it, have a nice day. To be fair this just looks like NFS No Limits with kei cars, I think you're all a bit too enthusiastic here. No, It's Drift Spirits probably. Also, Don;t bother with Razor EnZo. He's not worth your time. www.youtube.com/watch?v=KRN1MlHMNeU Here is a promotion movie. It looks like Drift Spirits. I think you were right, Burnie. It DOES seems to have some form of actual car control. It may be No Limits Spirits. Either way, my hopes are dropping severely every time new teasers release. Burn Rubber wrote It DOES seems to have some form of actual car control. It may be No Limits Spirits. As far as I'm concerned, I don't think the iconic SP bar will return. I don't even think the 13 Devils are coming back. Hell, I don't even see TEAMS coming back. I watched the trailer and I guess my hopes were too high. Looks like a cross between Drift Spirits and NFS No Limits. All I want is a decent car list (ESPECIALLY a DC5 Type-R and an EP3 Type-R), actual CONTROL of the cars, customisation like TXR3, and to buy cars with in game currency (credits, $$$, etc...) and not having to buy crates to get a random car you don't want or having to build up blueprints. Seriously, is this what mobile gaming has come too? Damn, it better be good! Or I'll just stick to Pixel Car Racer and CSR2 TYVM. No matter how bad it is, we need to support it. It's basically a fundraiser for a legit TXR game. So the confirmed USA title is "Capital High Battle XTREME"
Can admin add as alternate title? Burn Rubber wrote So the confirmed USA title is "Capital High Battle XTREME"
That's just a bad translation and shouldn't be taken seriously. Shutokou Battle has always translated to Capital Highway Battle throughout the series. What the hell GroupB? I thought you said I could do the page! I posted what I have. The game's already been out almost a day. Can we please get along? I don't want a repeat of the 22nd. BTW, what's the American name for the game? and is it out on the Canadian/American app store? K20lover199 wrote what's the American name for the game? and is it out on the Canadian/American app store? There isn't one, and no plans have been announced for a release outside of Japan. K20lover199 wrote Can we please get along? I don't want a repeat of the 22nd. How about worry whether or not the page is up to date rather than a personal claim. If you're gonna put the rest of the pictures up, get busy. Once the game is out, it shouldn't be all placeholders. BR have you submitted anything? I have garage shots of the Move and the 370Z waiting to go. GroupB wrote BR have you submitted anything? I have garage shots of the Move and the 370Z waiting to go. I'd just go ahead and post whatever you have already. If Burn Rubber wants to replace it with his own, then well, it's up to you. Time to hack the game I guess. FINALLY was able to get some new cars. Game really dicked me over. I've got pictures for the Vellfire and Move coming. Burn Rubber wrote FINALLY was able to get some new cars. Game really dicked me over. I've got pictures for the Vellfire and Move coming. How did you get the game in Amercia though? Through an .APK. It was very hard to get working and I would reccomend waiting for international releases. The entire game is in Japanese as well, So it's not easy to get around on. BRZ and R34 have been spotted as opponent cars. Plus I heard there were body kits , where are they? BrianMak wrote Plus I heard there were body kits , where are they? Bodykits, rims, and neons are all won from a daily battle in the Events tab. The event shows up at a different time for everyone. The game is also avaliable on US Versions and Europe versions of the mobiles? uglyman323 wrote The game is also avaliable on US Versions and Europe versions of the mobiles? It's going to end up like generic simplistic freemium "car game" (not driving since there isn't much of that)? Except by in case to download an APK of the game and using a USB device to pass in the phone and playing this game in any non japanese countries for example. USA, Australia or European countries. The problem with making a mainstream txr game is that fact that now it would be competing with Forza and Gran Turismo. It would be hard to make a full priced game out of it, and even if it was a 40 or 20 dollar game, it would be really hard for Genki to make something like TXR0 or TXR3 again and not go over budget, because of graphics standards, and other various reasons. Personally I'd be happy with an updated TXR0, which maintained the same graphics style, but included some new cars and rivals, and maybe Nagoya and Osaka like TXR3. It'd be like the game we remember, but with some new stuff, like weather, more modern cars like the Nissan GTR and Toyota Ft-86, the Latest iterations of the mitsubishi evo, eclipse, and the subaru impreza, all the newer cars and the american and european cars from TXR3, the 1968 dodge charger that could be found in traffic but was inaccessible to the player. You might as well add a 69 camaro in to go with the mach 1 and the charger, a Shelby gt500, and dodge Challenger srt8, to cap off the muscle cars, as for the euro cars, I don't know much about euro cars, but I think if you took the BMW and the porsches from txr0, added in the rufs, mercedes, lotus and volkswagens from TXR3, and the audis from one of the more modern games in the series, You should end up with a pretty solid list. and maybe some easter eggs, (Like for instance, unlocking the GTR by knocking it off the back of the truck like the old myth goes, as well as the relatively obscure ones already in TXR0) And maybe some hidden, one off, concept, or just plain obscure cars, like the lexus lfa, Caddilac sixteen, and Volkswagen golf w12, these cars could belong to wanderers with absurdly difficult requirements, like getting a certain time in time attack mode, or beating a certain number of rivals with a completely stock car, maybe you just have to drive around C1 99 times? Maybe these wanderers aren't even shown in the rival's list so you don't even know they're there until you find them. Maybe the 68 charger will challenge you after you collide with a ridiculous number of traffic cars. But like I said, the problem with developing a game like this, is that it would cost too much to develop and even though it would be cool, not enough people would buy it to make it worth the effort. None of that stuff is going to happen. strike9 wrote The problem with making a mainstream txr game is that fact that now it would be competing with Forza and Gran Turismo. It would be hard to make a full priced game out of it, and even if it was a 40 or 20 dollar game, it would be really hard for Genki to make something like TXR0 or TXR3 again and not go over budget, because of graphics standards, and other various reasons. Personally I'd be happy with an updated TXR0, which maintained the same graphics style, but included some new cars and rivals, and maybe Nagoya and Osaka like TXR3. It'd be like the game we remember, but with some new stuff, like weather, more modern cars like the Nissan GTR and Toyota Ft-86, the Latest iterations of the mitsubishi evo, eclipse, and the subaru impreza, all the newer cars and the american and european cars from TXR3, the 1968 dodge charger that could be found in traffic but was inaccessible to the player. You might as well add a 69 camaro in to go with the mach 1 and the charger, a Shelby gt500, and dodge Challenger srt8, to cap off the muscle cars, as for the euro cars, I don't know much about euro cars, but I think if you took the BMW and the porsches from txr0, added in the rufs, mercedes, lotus and volkswagens from TXR3, and the audis from one of the more modern games in the series, You should end up with a pretty solid list. I retired from SBX. It really wasn't going anywhere. Once I maxed the only 6-star car I ever won, there really wasn't much else to do. Lesser cars aren't competitive in VS, and trying to win a new one in gacha is next to impossible. Does this game have another name? Bumpercars45 wrote Does this game have another name? I believe it's Japan only. Damn, they shut down this game so fast. It's not even 1 years old yet! Let's hope that they can make another Shutokou Battle/Kaido Battle from all they money they've got from this game. I doubt they made a lot of money with this game if they are already shutting it down. It clearly wasn't as popular as they expected, or people quit a week after they downloaded it.